Jeremy Gusset is a junior architecture major and sustainability minor who has been involved in Kean Hillel, Catholic Newman Club, AIAS, Alternative Spring Break, the McNair Scholars Program, LSAMP and the Office of Facilities and Campus Planning. There are many labels that can describe Jeremy Gusset, including but not limited to student, scholar, architect, volunteer, advocate and leader. He is one of the many dedicated students at this school who go above and beyond to make Kean the world-class institution it is today. Gusset is a junior architecture major with a minor in sustainability. He said that he chose to attend Kean due to the opportunities it would give him to gain experience and advance in his field. He was also drawn by the potential to experience a level of diversity he did not have in the past. “Being a part of one of the most diverse campuses in the country has also given me opportunities to learn about cultures and communities I never knew existed,” Gusset said. The Michael Graves School of Public Architecture, one of only two undergraduate architecture programs in the state, is relatively new and compact. Gusset began his college education as a business management major, but eventually switched over to architecture to pursue his true passion. “It took me a while to get the guts to study what I really wanted to study. Without this program here, I don’t think I would have ever had the opportunity to become an architect,” Gusset said. One of his favorite things about the program is how the small size and studio classes have allowed him to form relationships with other architecture students learning in the same niche as him. “We give each other our time and treat one another like family. We share model and building materials, snacks, skills and passions. My third year architecture cohort here is my family,” Gusset said. Gusset also has a lot of appreciation for how dedicated his professors are to making sure students in the program have all the resources and help they need to succeed. He said this is especially true in the case of Professor Craig Konyk, who commutes every day from Brooklyn but is still always available to devote his time and energy to his students. “I am not sure I would have been able to accomplish what I accomplished with Craig Konyk with another professor,” Gusset said. Apart from his architecture studies, Gusset has also dedicated much of his time to maintaining a high level of involvement. He has been a part of Kean University Hillel, an all-inclusive organization with a mission of educating and helping students experience the cultural practices and faith of Judaism, since he started attending this school. After spending his freshman year as a general body member, he became the vice president in his second year, and is currently serving as the treasurer. As treasurer, he is part of the group’s executive board and works to plan events and fundraisers that obtain the most influence within their budget. 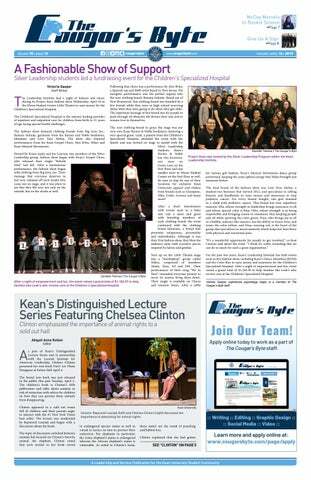 Gusset believes that Kean Hillel is an integral part of the Kean community, and any student with any religious beliefs can benefit from what they have to offer. “Kean Hillel creates a Jewish community on Kean’s campus. It gives students of all backgrounds and denominations [the opportunity] to learn about Judaism, which is the oldest monotheistic religion and is filled with values, morality, and substance,” Gusset said. His religion-driven involvement doesn’t end with Kean Hillel. He has also been a part of the Catholic Newman Club due to his religious background and passion for gaining knowledge. “I am half Jewish and half Catholic so I wanted to learn more about the other side. I also believe you can learn from everything and everyone,” Gusset said. On top of Hillel and the Catholic Newman Club, Gusset has been involved in the American Institute of Architecture Students, Alternative Spring Break, the Louis Stokes Alliance for Minority Participation, and the McNair Scholars Program. He also works on campus as an intern for the Office of Facilities and Campus Planning (CP), where he is able to aid the school in fulfilling work requests to resolve any issues in Kean facilities. While it can be difficult to stay on top of so many responsibilities at the same time, Gusset manages by staying proactive and using the skills he builds from his numerous clubs to his benefit. “I am always thinking and synthesizing ideas together. Many things I do for school, work or life overlap and help me accomplish my goals and what I need to do,” Gusset said. Upon completing his undergraduate degree, Gusset plans on spending his next chapter at Kean as well before beginning his career in architecture. 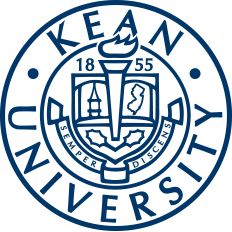 “After graduation, I hope to attend graduate school here at Kean for architecture. However, my ultimate goal is to design and build affordable and expandable modular housing,” Gusset said.